The reality is: there are distinguishing characteristics which put it in a league of its own. GoByte is one of the top up and coming projects in the market and here we explore what these unique characteristics are and why they will make you consider investing in GoByte over other Cryptocurrencies. GoByte is a digital currency which can be traded through a decentralized platform, making it faster, more reliable and cheaper than traditional banking systems. In that respect, it’s very similar to Bitcoin and the other emerging Cryptocurrencies listed above. Although GoByte (GBX) is an even more innovative Cryptocurrency. A form of digital currency secured by cryptography and issued through a decentralized and advanced mining market. Based on Dash, it’s an enhanced version, featuring the Masternode technology with 50% Reward, near-instant and secure payments as well as anonymous transactions. GoByte Network is a modular network based on the blockchain technology. The GoByte’s modules are developed independently yet, they all have the same blockchain as a core, and work all together to create a fast and secure network. Thanks to the modular structure of the GoByte’s Network, modules can be updated independently without causing errors or issues with other modules. The GoByte’s Network developers are working tirelessly on bringing new and innovative modules to be merged later with the other modules of the network. Every module is developed by its own team lead by a Senior Developer, this way we offer to our developers a clean canvas to be filled by their own imagination. The first and biggest module of the GoByte Network is the “Pay” module, which acts as a payment gateway and cold wallet at the same time. The “Pay” module is working directly on the Blockchain, being able to create and execute transactions which will later be confirmed by the masternodes and miners. Gobyte is a super fast protocol. Your time is valuable. InstantSend payments confirm in less than a second. The protocol is incredibly secure. Security you can count on. Transactions are confirmed by miners and masternode servers hosted around the world. It is also Asic Resistant which gives it the advantage to be truly decentralized with out concern of Asic monopolized mining farms. It is superior, efficient and fair mining that runs using GPU mining. It is also truly anonymous, which can protect your personal and financial information. PrivateSend ensures your activity history and balances are private. It is able to accomplish this with the use of difficulty retargeting using the integrated Dark Gravity Wave DGW technology. And lastly the Masternodes help keep integrity of the network and enable support for PrivateSend and InstantSend at the same time as building a stronger community and decreasing the circulating supply of the coin. Which is beneficial to drive up the demand due to the lower circulating supply of the coin. What is a GoByte MasterNode? 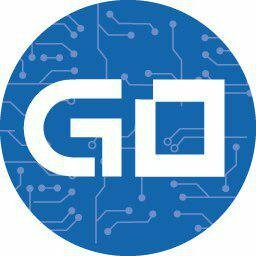 One of the most notable unique features of GoByte are MasterNode. Whereas all nodes are made equally in the Bitcoin blockchain, the MasterNodes in the GoByte network are superior to the rest. MasterNodes are to nodes what computer servers are to computers. In this case, they are set up to deliver features such as InstantSend and PrivateSend features. The InstantSend feature allows for one of the fastest blockchain currency transactions. Funds are sent almost instantly, as the name suggests. This is a major advantage over Bitcoin, where transactions still take hours to complete. PrivateSend adds extra layers of privacy to your transactions by mixing them within others. It has been speculated that MasterNodes will be able to assist with the process of exchanging one cryptocurrency for another, without the input of a third-party exchange. This process has been dubbed ‘Atomic Swaps.’ This process of Atomic Swaps could possibly be available in the GoByte protocal sometime 2019. 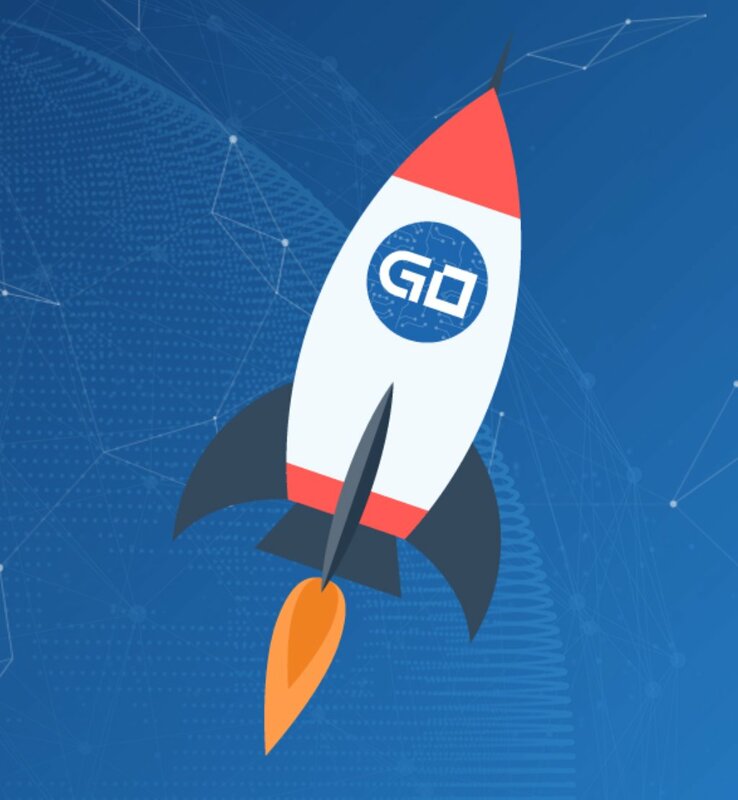 Users can create a MasterNode in the GoByte network, however, this requires some tech savvy or Masternode set up and hosting services from Coinconnecter and a deposit of 1,000 GoBytes. This deposit remains in an unspendable state throughout the creation process, temporarily diminishing the amount of currency in the blockchain. Thus increasing demand for the lower circulating supply. MasterNodes supply a yield to its creator based on the frequency of block rewards, funded by the transaction fees of creating a new block in the GoByte chain. This could provide savvy investors with an additional method of making passive dividends, and capital gains from this cryptocurrency. Block Reward: 15 GBX which decreases by 8.33% every year. * GoByte, has a premine of only 2.7% that will be used only and only for airdrops, bounties, exchanges, and future projects like the Web Wallet, Android/IOS Wallets and much more. The GoByte team is lead by Hisyam, One of the four founders. He is the lead core developer and the project manager. Hisyam worked for years as a system administrator & network security specialist. He is on those Cryptocurrency enthusiasts, exciting coders and men of vision, who can push things to the next level. The team is transparent and all have great talent and experience in Blockchain engineering and Financial transaction technology. For more information on how to buy, mine and set up a wallet for GoByte visit these links to our friends at Coinguides.org which are great step by step guides. 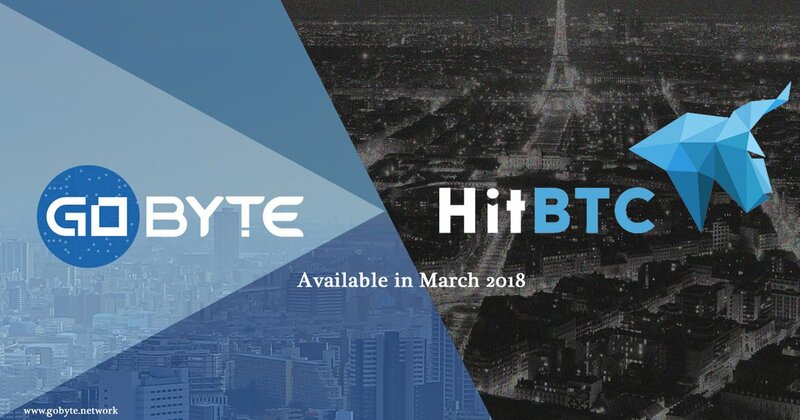 Also for more information and further detailed questions you can contact the GoByte team through official the Twitter and Discord channels. Interested in Getting Up to the Minute Investment Information on the Latest Trends in Cryptocurrency? Register for your Coinconnecter Membership Today!